Scotland’s busiest whisky region is about to be flooded with visitors from across the world as the 2016 Spirit of Speyside Whisky Festival (SoSWF) kicks off this week. 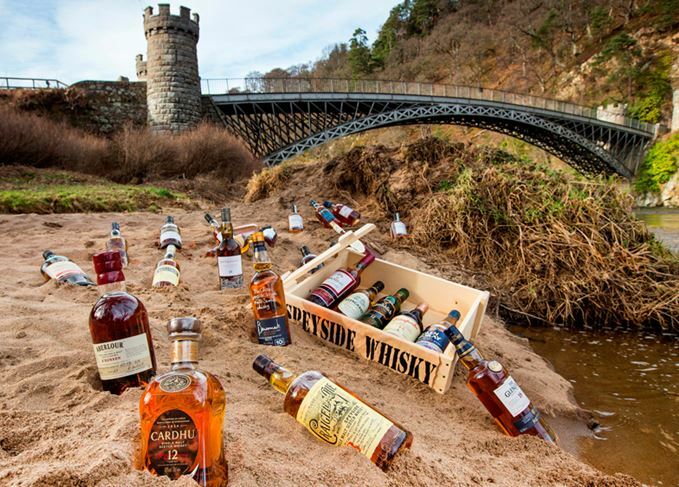 Running from 28 April to 2 May, the five-day festival will see over 25,000 visitors from around 40 different countries descend upon Speyside – 16 times the population of Dufftown, the region’s whisky capital. The festival will host almost 500 different events, ranging from distillery tours and tastings – including of some sites not usually open to visitors such as Dufftown and Strathmill, to barrel races, whisky trains, food and drink pairings, guided walks around the region’s countryside, museums, exhibitions, ceilidhs, live music and more. The majority of tickets to Speyside distilleries not normally open to the public sold out within days. Festival manager Pery Zakeri said: ‘The really great thing is how the community gets behind the event, and that’s important to us as a festival because it all helps to give visitors such an authentic experience. The SoSWF will also this year shine a light on the region’s architectural heritage, as part of the Scottish Year of Innovation, Architecture and Design through events such as the manager’s tour of the new, environmentally considerate Dalmunach distillery. As the festival gets into full swing this week, Scotchwhisky.com will be there every step of the way reporting live from some of the most exciting events on offer. A full list of events taking place at SoSWF is available on the festival’s website.